To support youth Roma participation at different social and political levels by gathering qualitative data about approaches and practices of Roma Youth, and supporting initiatives where Roma participation is a key to long-term change. Be informed about all the venues of the PAL project. Harnessing the collective potential of the European Roma integration initiatives will provide a better understanding of education and employment issues and will encourage the application of this understanding, in order to alleviate major Roma problems. 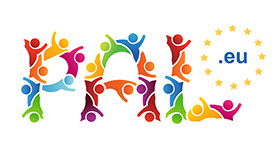 The project “Fighting discrimination and anti-Gypsyism in education and employment in EU” (PAL), JUST/2014/RDIS/AG/DISC/8115 is accepting new MEMBERS joining its network!